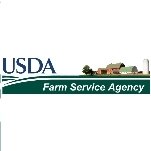 Juan Garcia was selected to serve as Administrator for the Farm Service Agency (FSA) on July 15, 2012. An agency of the U.S. Department of Agriculture, FSA provides services to farm operations including loans, commodity price supports, conservation payments, and disaster assistance. Garcia had served as FSA deputy administrator for Farm Programs since May 2011, managing all programs under the divisions of Production Emergencies and Compliance, Conservation and Environmental Programs, and Price Support. A native of Lyford, Texas, Garcia was born circa 1954 and grew up on his family’s 500-acre cotton, grain sorghum, and livestock farm, which has been in his family since 1860. Garcia earned a B.S. in Animal Science at Texas A&I in Kingsville (now Texas A&M University-Kingsville) in 1976. Joining USDA circa 1977, Garcia served early in his career as county executive director for the Texas counties of Nolan, Hidalgo and Cameron, and as district director for the southern and eastern districts of the state. He also worked for the Soil Conservation Service. Eventually he worked his way up to be the manager of agricultural programs for Texas and assistant state executive director for FSA. In June 2009 he was named Texas state executive director, having served as acting director since January of that year. Garcia and his wife, Belinda, have three grown children.